Deep Sky Eye Observatory is pleased to be a part of the 2016 Starlight Festival. 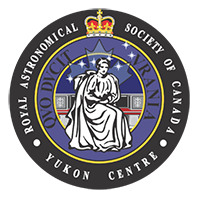 Come and enjoy an evening under the stars with Tim Doucette, local amateur astronomer. We will be offering a two hour viewing session at 338 Frotten Road, Quinan, Nova Scotia. The cost is $5.00 per person. Cash & Credit cards accepted at the observatory. Sorry, no debit available at this time. Book early, as space is limited. Please select the night you would like to attend. The event is weather dependent. You will be notified if the event should be cancelled. We can only accept a maximum of 20 guests per night. Thank you for registering. You will get an email confirmation within 24 hours. Clear Skies!